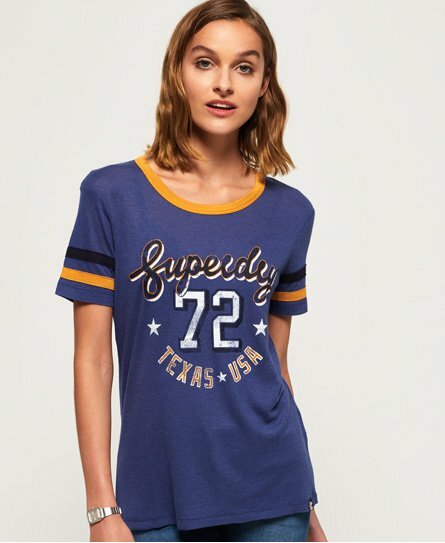 Superdry women’s Alana vintage t-shirt. This statement lightweight t-shirt features a contrasting neckline and cuffs, and a large Superdry logo graphic across the front in a vintage finish. The t-shirt is finished with a Superdry logo tab on the hem. Wear this t-shirt with boyfriend jeans and trainers for a laid back look.